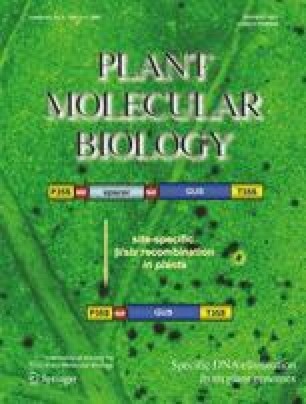 In Arabidopsis cell suspension, hyperosmotic stresses (mannitol and NaCl) were previously shown to activate nine sucrose non-fermenting 1 related protein kinases 2 (SnRK2s) whereas only five of them were also activated by abscisic acid (ABA) treatment. Here, the possible activation by phosphorylation/dephosphorylation of each kinase was investigated by studying their phosphorylation state after osmotic stress, using the Pro-Q Diamond, a specific dye for phosphoproteins. All the activated kinases were phosphorylated after osmotic stress but the induced phosphorylation changes were clearly different depending on the kinase. In addition, the increase of the global phosphorylation level induced by ABA application was lower, suggesting that different mechanisms may be involved in SnRK2 activation by hyperosmolarity and ABA. On the other hand, SnRK2 kinases remain activated by hyperosmotic stress in ABA-deficient and ABA-insensitive mutants, indicating that SnRK2 osmotic activation is independent of ABA. Moreover, using a mutant form of SnRK2s, a specific serine in the activation loop was shown to be phosphorylated after stress treatments and essential for activity and/or activation. Finally, SnRK2 activity was sensitive to staurosporine, whereas SnRK2 activation by hyperosmolarity or ABA was not, indicating that SnRK2 activation by phosphorylation is mediated by an upstream staurosporine-insensitive kinase, in both signalling pathways. All together, these results indicate that different phosphorylation mechanisms and at least three signalling pathways are involved in the activation of SnRK2 proteins in response to osmotic stress and ABA. We thank Dr. Pascale Bertrand and Dr. Yannick Saintigny for kind introduction to the Typhoon imaging system. We also thank Dr. Sylvain Merlot and Dr. Helen North for kindly providing abi1-1 and aba1-3 seeds, respectively.